Phillip Capital Inc. (“PhillipCapital”) is a Futures Commission Merchant and Broker Dealer that is part of the PhillipCapital Group, based in Singapore since 1975. Formed in 2010 as a Futures Commission Merchant (FCM), we have exchange memberships on the CME, CBOT, COMEX, NYMEX, ICE Futures US, CFE, NFX, ICE Futures EU and DME. In addition, we provide access to all the major Asian exchanges and global exchanges through the PhillipCapital network of companies. 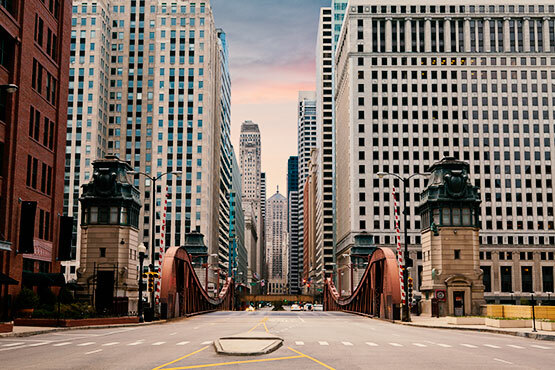 We are based in Chicago, IL and located at the historic Chicago Board of Trade building. The PhillipCapital Group of companies spans 16 countries and offers a comprehensive suite of financial services including futures, foreign exchange, equities, fixed income, bonds, unit trusts, real estate, and insurance. With shareholder's equity greater than $1 billion and global assets under custody/management greater than $30 Billion, the group has been profitable each year since its founding. The group is also privately held with no long-term debt. Although PhillipCapital Group has its roots in Asia, it has expanded well beyond Asia and into the two main financial countries: the US and UK. The PhillipCapital Group employs more than 3,500 people worldwide, with offices in Singapore, Hong Kong, China, India, Japan, Malaysia, Thailand, Indonesia, Cambodia, Sri Lanka, United Kingdom, France, Australia, Turkey and Dubai. PhillipCapital is focused on serving the needs of our customers. The PhillipCapital Group has been in the financial business since 1975 and our success lies in our deep understanding of our business and our ability to provide win-win solutions for our stakeholders - our customers, employees and shareholders. All parties need to benefit to create sustaining business relationships. This relies heavily on trust to succeed. 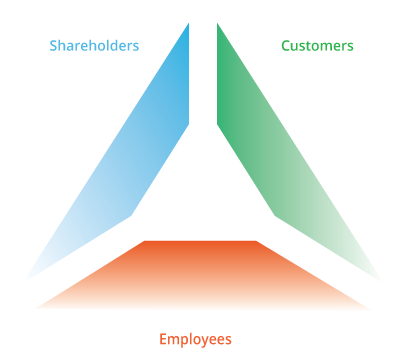 While we understand the importance of how positive shareholder returns are vital to the longevity of any business, in the end, shareholder returns are just an outcome of management practices that respects all stakeholders involved. We will not compromise the duties of serving our customers for the sake of maximizing profits. We understand the nature of trust; while it is difficult to gain, it is also easily lost. Trust is earned through our responsibilities and continuous efforts to provide the customer with excellent service and products and by doing the right thing. Our daily mantra for business is that it needs to be beneficial for all parties concerned. We prefer long term relationships to short term gains. When customers choose to open an account and deposit money, they are entrusting us with a huge responsibility. We take our fiduciary duties seriously to do what’s best for our clients. Employees are what make a company. They are the soul of the company. We believe in providing our employees with a wide array of opportunities for training that allow for success. Our corporate ethos shown below shows the high standard that we set for ourselves and for our team. Our Core Values: To Be the Best We Can Be. We believe that each person is unique and given distinct gifts and talents. Hence each person is obliged to develop oneself to their fullest potential which PhillipCapital will avail opportunities to in training, service and responsibility. The ethical code is our compass that determines our actions. Each person is special and has tremendous potential. We uphold integrity in our conduct. Honesty is telling the truth; integrity is fulfilling the truth. We believe in the process of deferred gratification that reward comes only after performance. We prefer to build long term relationships and focus on our customers rather than trade ensuring that our customers always come first. We see ourselves as stewards to one another, to our family, to our community and to our environment. We will play positive sum games.